Flowers For Clara quilt measures 80" x 80". 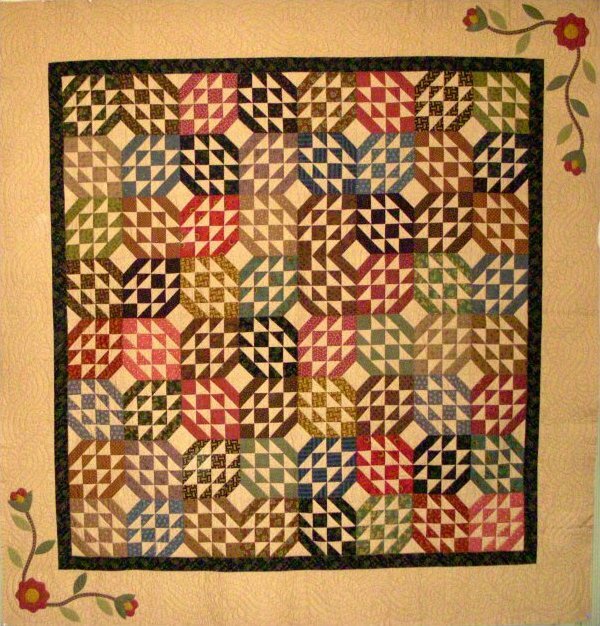 This quilt is named for Clara Barton who became known as the "Angel of the Battlefield" during the civil war. This quilt is made of simple blocks accented by a flower applique in two corners of the quilt.